Constable Shane Cooper (Ryan Kwanten, TV's "True Blood") arrives in the small town of Red Hill in search of a quieter life. 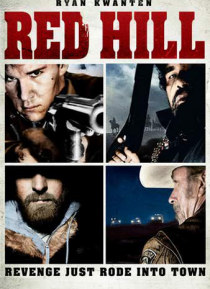 But, on Cooper's first day with the Red Hill Police Department, a convicted murderer escapes from prison and heads straight for Red Hill to kill the men who put him there. One by one, the townsmen fall until Cooper discovers the shocking truth about the convict, and must chal… lenge everything he believes in order to stop the massacre and bring justice to Red Hill.